We also offer Certification and Training courses in Singapore: Lean Six Sigma, Design for Six Sigma, Green Process Management and Minitab. 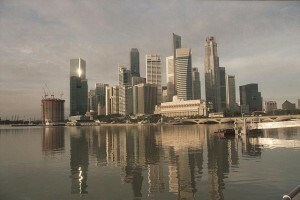 The region of Singapore has been a major attraction for many multinational organizations due to the booming business environment. The seasonally adjusted jobless rate was recorded as low as 1.9% in the last quarter of 2014. The citizen unemployment has fallen down to 2.6 percent from the previous rate of 2.9% and the resident unemployment dropped to 2.6 from 2.8%. These statistics signify the nature of the prevailing job market in Singapore, and many companies that hire individuals from the masses of people trying to land a job in the business hub look for candidates that have exceptional skills and expertise. In this regard, a Lean Six Sigma Certification can help you go a long way. The training program comprises of levels of expertise that you can achieve, ranging from Lean six sigma White Belt, which is the most basic level, to Master Black Belt, which is the highest level of expertise that an individual can attain. How Does One Obtain a Lean Six Sigma White Belt Certificate? A Lean Six Sigma white belt training program is much more than just training; it is an entire set of ethics and rules that one can follow to enhance the business processes of their organization and make the workflow more efficient. The methodology can be implemented to perform better operations when dealing with any project of any scale. The expertise belts can be acquired after you go through a rigorous training procedure which entails that the candidate has all the best practices at his fingertips by the time the training has been completed. These best practices can then be implemented to optimize the business operations within any organization. To begin your lean 6 sigma training, you must first begin at the first level, which is the lean six sigma white belt training. The first thing you will need to consider is the level of training you wish to acquire. You can choose from a variety of belts or levels: lean six sigma white belt, Yellow, Green, Black and Master Black Belt. These belts are acquired depending on your current level of proficiency and the skills you possess. Once you have successfully determined the level of expertise you will be training for, the next step is to get enrolled in a training institute that offers lean six sigma white belt Certificate training. This is where you will learn about how to collect data efficiently and implement management and analytical techniques that guarantee success. Once you attain the training, your skills and expertise will then be put to test. Here, you have to prove your level of understanding of the methodologies that you have learned in the lean six sigma white belt training course. You will be tested if you have practiced and implement these methodologies properly. Once you completed your lean six sigma white belt training and have reached the level of expertise you desire, you will need a certifying body that helps you in getting certified. The final step of the process will determine your level of proficiency, and help you outline your professional abilities clearly. Once the final test has been passed, you will receive your Lean Six Sigma white belt Certificate. The meeting rooms in Orchard Gateway is Orchard Road’s newest prominent business address at the heart of Singapore’s fashion and lifestyle epicentre. Strategically located at the junctions of Orchard Road and Emerald Link, next to Emerald Hill and opposite the 313@Somerset shopping mall, Orchard Gateway impresses with its stunning architecture featuring a sleek glass facade and the only overhead bridge along Orchard road. The direct and convenient access to the Somerset MRT station and adjacent bus stops provide easy connectivity to other parts of town, and the Central Business District of Raffles Place and Marina Bay that are only minutes away. 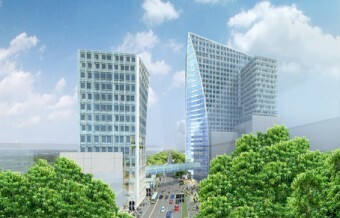 Orchard Gateway business center offers a unique and seamless work and lifestyle experience.